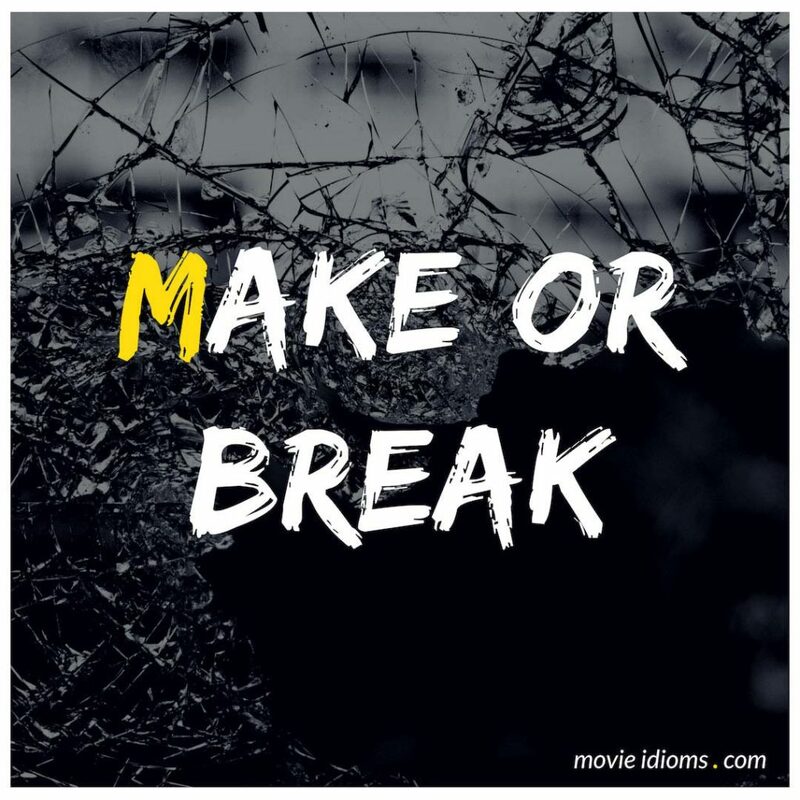 What does make or break mean? Dr. George O’Malley: Hey, have you seen Shepherd? Dr. Isobel ‘Izzie’ Stevens: Not as up close as Meredith has. Dr. George O’Malley: Hey, are you trying to get her in trouble? She’s our friend. Dr. Isobel ‘Izzie’ Stevens: George, this program will make or break our careers. Some of us will make it through and some of us won’t. And that decision depends entirely on recommendations from doctors like Shepherd. There is a reason we don’t sleep with the attendings. Howard Beale: Right now, there is a whole, an entire generation that never knew anything that didn’t come out of this tube. This tube is the gospel, the ultimate revelation. This tube can make or break presidents, popes, prime ministers. This tube is the most awesome goddamn propaganda force in the whole godless world, and woe is us if it ever falls into the hands of the wrong people. And that’s why woe is us that Edward George Ruddy died. Det. Sato: This is the make-or-break point. He’s killed someone. A killer’s like a mad dog. Do you know how a mad dog walks? There’s an old ditty that’s disturbingly close to home. A mad dog only sees straight paths.